After installing the ESP8266 software for the Arduino IDE. I tried the first sketch. I took the first sketch form the fantastic site of Rui Santoz. There I learned how to install the ESP8266 in the Arduino IDE, and how to blink an LED from ESP8266. The code is on github: esp8266blink. 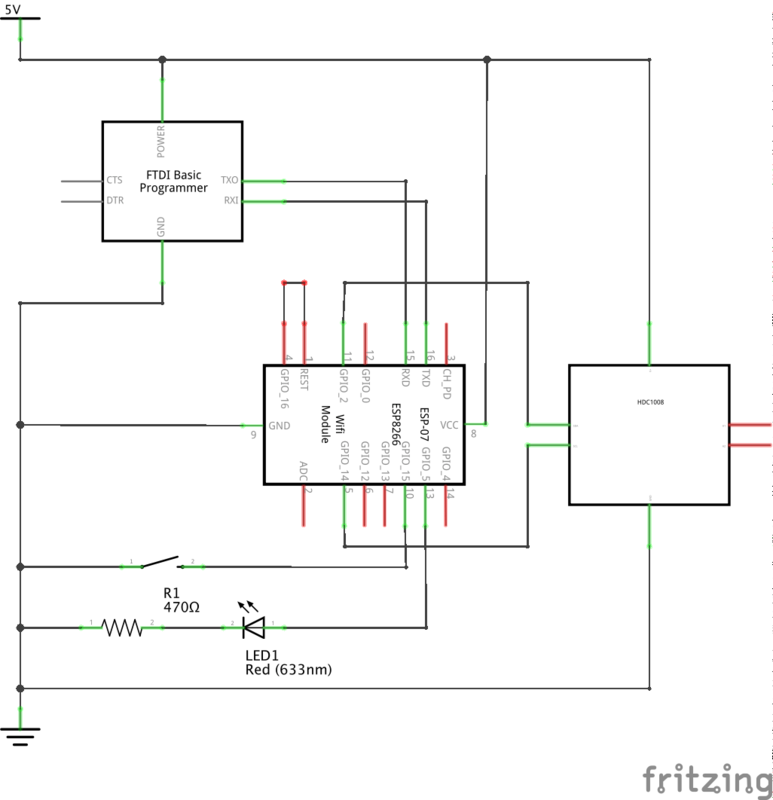 Additionally the sketch reads the supply voltage and sends it to the serial port. Now something more meaningful. 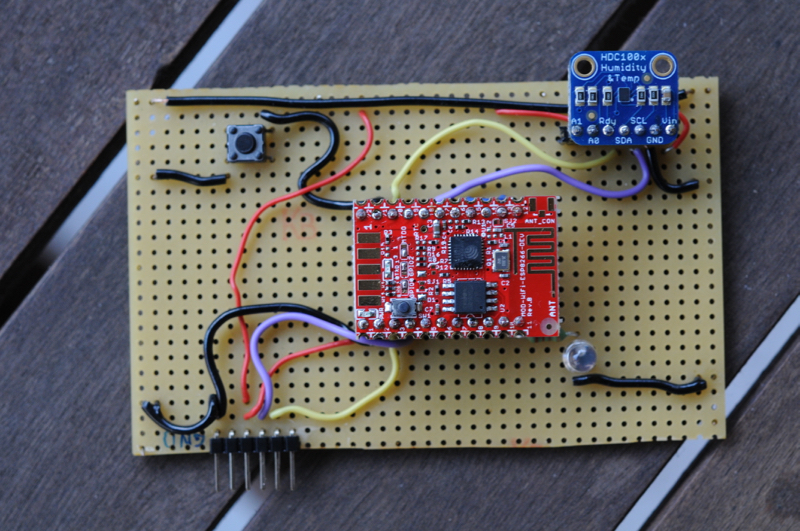 The HDC1008 (or HDC1000) sensor gives the temperature and the humidity via I2C. Adafruit had a nice breakout board (which is discontinued meanwhile) and the library for it. So the sketch was no problem. It reads the sensor once a second and sends the data to the serial port. The next was a little more difficult – connecting to WiFi and sending messages to the MQTT broker, which runs on my Raspberry Pi. I used the library from Nick O’Leary. To be able to start the serial console I added a “sleep (5000)” at the beginning of the setup function. I could not get a connection. After a hint from Hubert from the Arduino Group Hannover I reduced this to 2000 msec, and everything worked as expected. The sketch connects to WiFi and sends a message once a minute. Because some (or perhaps all) sensors shall run on battery, I have to save energy. To this end the ESP8266 offers a deep sleep mode. The sketch is again rather simple. It blinks the LED for a while and goes to sleep for 5 seconds. The next step is to combine all the above, and then to write the software on the server side. I’m not quite sure, if I put the values into a database or into a plain text file.